President Cyril Ramaphosa was right in his assessment that the sun hasn't set on South Africa's mining industry, Aon's global mining practice leader Paul Pryor has said. 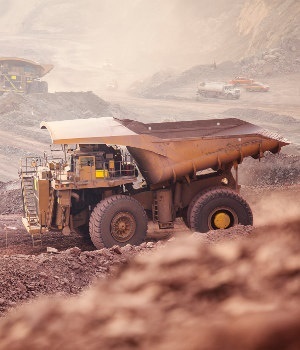 Speaking to Fin24 on the sidelines of the 2019 Investing in African Mining Indaba on Wednesday morning, Pryor mining companies were "upbeat" about investing in SA, particularly in the areas of exploration and expansion. "There is a lot of interest in mining here. Gold might be in declining, since going deeper to explore gets more expensive, but there is still a lot of platinum, vanadium, palladium and iron ore that investors would be very interested in," said Pryor. The Mining Indaba is being held from 4-7 February at the Cape Town International Convention Centre. Ramaphosa became the first sitting South African president to formally address the event on Tuesday. Among concerns over dwindling resources, labour unrest, commodity price exposure, sparse returns on investment in the short term and climate change's impact on industry regulations, Ramaphosa took the opportunity express his view that SA's mining industry was still thriving. Pryor also said battery metals were a compelling proposition for miners. Pryor said the trend of stepping away from financing and insuring coal projects only applied to thermal coal, which was used in power stations and emitted more greenhouse gases. Metallurgical coal had significantly lower emissions and, as such, may still enjoy a great deal of investment, finance and insurance in the near future, he said.